How To Send Hike Messenger like stickers on Whatsapp and Facebook Messanger For Android and Iphone. 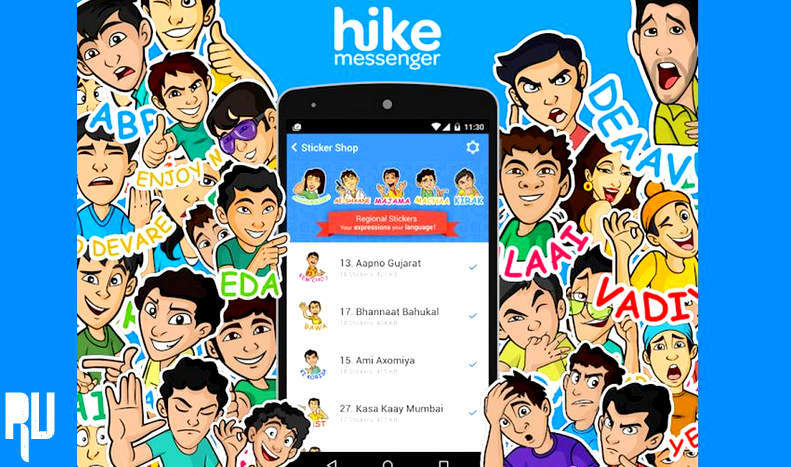 1 How To Send Hike Messenger like stickers on Whatsapp and Facebook Messanger For Android and Iphone. 1.1 Trick to Send hike stickers from whatsapp and facebook messenger from apple iphone android phone without downloading any app . 1.1.1 How to send Hike messenger stickers using whatsapp and facebook messenger using your apple iphone and android without root . Are you finding a way to Send Hike like stickers from your whatsapp messenger and facebook messenger in Your android and apple iphone ? Then you are at right place . Today we will tell you a easiest way with which you will be able to send hike stickers from whatsapp and facebook messenger . Believe it or not but hike messenger is one of the best messenger in the world and not only this but this is the best alternative of Whatsapp messenger , According to a survey Hike can possibly beat whatsapp by the end of 2016 and the reason is clear also , Hike is loaded with many features that whatsapp still lacks of , features like virtual assistant , Cricket news, news,jokes and the last and the best A great variety and chocie of stickers that are seriosuly awesome and a thousand times better then Whatsapp’s Default Boring Emoticons . After Many mails and request we thought to find a way with which we can officially Send Hike stickers using whatsapp and Facebook messenger on Android and apple iphone without downloading any external app . 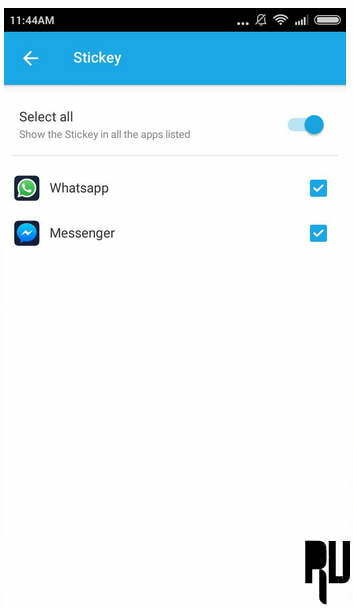 Trick to Send hike stickers from whatsapp and facebook messenger from apple iphone android phone without downloading any app . This is basically not a trick , but it is a hidden feature in Hike messenger app that most of us didn’t knew about . 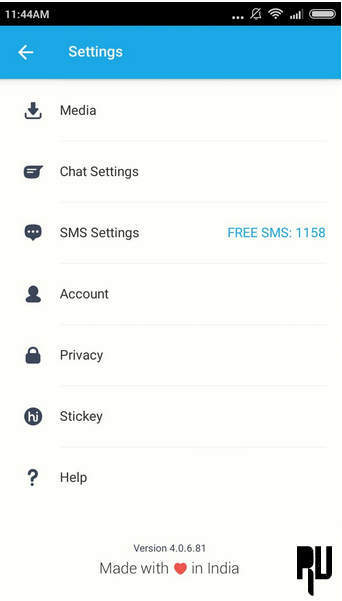 How to Activate TARS – A whatsapp based virtual Assistant For free . For sending Hike stickers from your whatsapp and facebook messengers you dont need any root or any another app expect Hike messenger . How to make whatsapp calls easily from a 2G internet without any disturbance . How to send Hike messenger stickers using whatsapp and facebook messenger using your apple iphone and android without root . First of all open Hike messenger , and Tap on the menu button . You will many options , choose settings . Now after choosing settings . After choosing Stickey , You will need to select the apps you want to send hike stickers from . 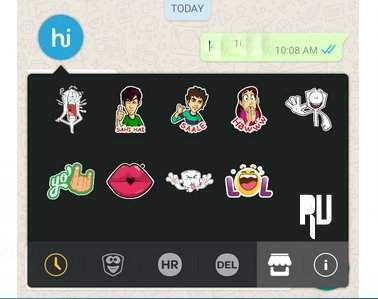 It is not that that you can only use Whatsapp and facebook messenger , but you can use any app you want to send hike stickers from . Here we have choose Whatsapp and Facebook messengers . Open your Whatsapp or facebook messenger . 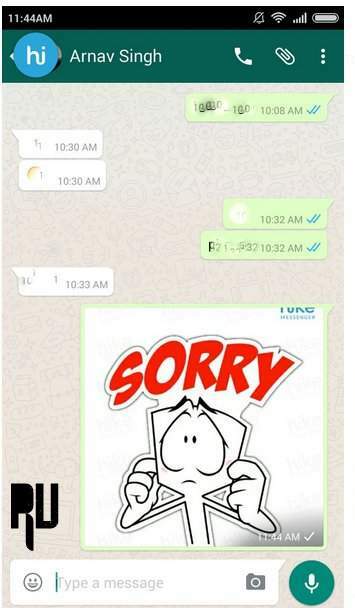 Now you Will Notice a new logo on The Top of your whatsapp messenger . Now to send Hike stickers you will need to tap on the Hike logo . As soon as you tap on the Hike logo , a new tray with stickers will open . Now all you need to do is Select the stickers you want to send using whatsapp or facebook . 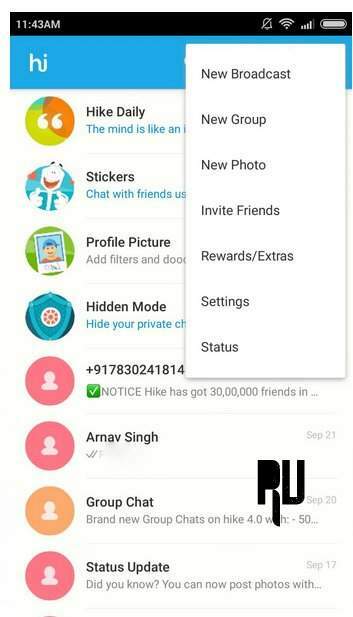 Thats all By following the above guide , You can send hike stickers from your whatsapp and facebook messenger without downloading any app . So this was our Guide on How to send Hike messenger stickers on Whatsapp and facebook messenger from android smartphone and Apple iphone without root and without using any app . I hope you liked this .